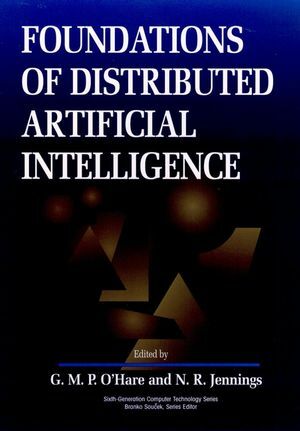 Distributed Artificial Intelligence (DAI) is a dynamic area of research and this book is the first comprehensive, truly integrated exposition of the discipline presenting influential contributions from leaders in the field. Commences with a solid introduction to the theoretical and practical issues of DAI, followed by a discussion of the core research topics--communication, coordination, planning--and how they are related to each other. The third section describes a number of DAI testbeds, illustrating particular strategies commissioned to provide software environments for building and experimenting with DAI systems. The final segment contains contributions which consider DAI from different perspectives. G. M. P. O'HARE is a lecturer in the Department of Computation at UMIST, Manchester, England. N. R. JENNINGS is a reader in the Department of Electronic Engineering at Queen Mary & Westfield College, University of London, where he heads the Distributed AI Unit. He is an internationally recognized authority on the design and implementation of multi-agent systems--having developed and deployed systems in a wide range of industrial and commercial environments. He has also made significant contributions to the theory of DAI systems--devising new models of cooperation and coordination. Logical Foundations of Distributed Artificial Intelligence (E. Werner). Distributed Artificial Intelligence Testbeds (K. Decker). Coordination Techniques for Distributed Artificial Intelligence (N. Jennings). Planning in Distributed Artificial Intelligence (E. Durfee). DAI FRAMEWORKS AND THEIR APPLICATIONS. IMAGINE: An Integrated Environment for Constructing Distributed Artificial Intelligence Systems (D. Steiner). AGenDA--A General Testbed for Distributed Artificial Intelligence Applications (K. Fischer, et al.). Agent Factory: An Environment for the Fabrication of Multiagent Systems (G. O'Hare). Philosophy and Distributed Artificial Intelligence: The Case of Joint Intention (R. Tuomela). User Design Issues for Distributed Artificial Intelligence (L. Hall).